The winners of the Turnaround, Restructuring and Insolvency (TRI) Awards 2018 have been revealed in a ceremony held at the Hilton London Bankside Hotel. Held immediately after the TRI Conference, the awards celebrated the range, variety and best practice of work undertaken by professionals in the TRI space, both as firms and individually. Overall, 26 awards were given out on a night which highlighted achievement and vital work in an industry which seeks to rescue struggling businesses and provide the best outcome possible for creditors. Big winners on the evening included DLA Piper, which took the award for Corporate Rescue of the Year – Legal Team for its work on the Conviviality administration, while Rob Lyons and David Ampaw – both of DLA Piper – took the Rising Star and the Diversity Champion gongs respectively. Meanwhile, PwC was also recognised for its work on the Conviviality administration, picking up the Corporate Rescue of the Year (Large) Award. Mazars took the corresponding Corporate Rescue of the Year (Medium) for its work on the KFS Realisations collapse. Unusually for these awards, there were joint winners in the Corporate Restructuring Lawyer of the Year category, with the judges unable to separate Shoosmiths’ James Keates and Eversheds Sutherland’s Carl Allen. Corporate Restructuring Firm of the Year – 11 or more licensed appointment-taking Insolvency Practitioners went to Grant Thornton, while Menzies collected the Corporate Restructuring Firm of the Year – four to 10 licensed appointment-taking Insolvency Practitioners title. Guests were also entertained by Mock The Week and Eight Out of 10 Cats regular Ed Byrne, who also presented the awards. 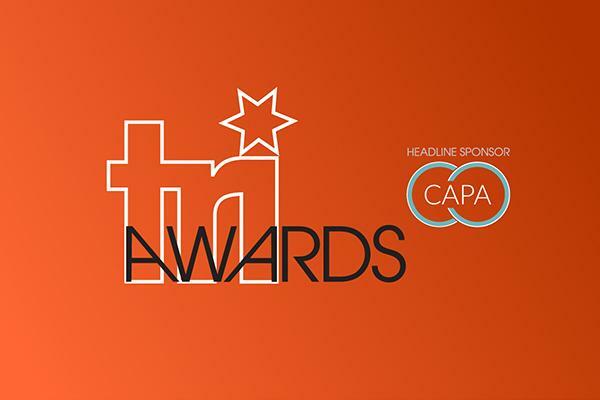 Credit Strategy would like to thank all the awards sponsors – CAPA, Gordon Brothers, John Pye, Menzies, Metis, AnyStockBuyer.com, Quantuma, Debenhams Ottaway, Smith & Williamson, Nexia International and Manolete Partners.